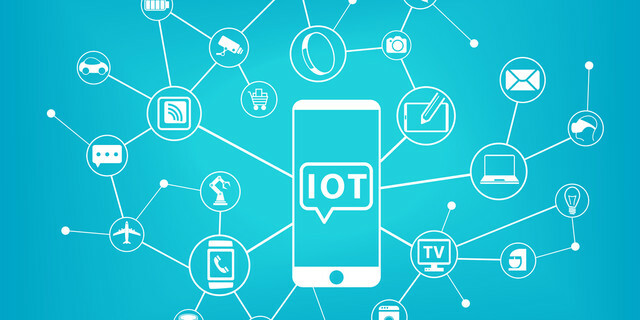 With the IoT surfacing as the next great destination for investment, many industry titans are scrambling and fiercely competing to seize their share of the revenues in the IoT market. Currently, IoT is at the core stage of industries like energy management, healthcare, logistics, manufacturing, and transportation. In convergence with various technologies like blockchain, AI, and edge, IoT has the potential to disrupt all the aforementioned verticals. Companies like IBM, Intel and Cisco are swiftly investing in the IoT technologies to take a lead in next era of technology. The adoption of IoT in all industries is becoming so vital that tech giant, Microsoft has announced to invest $5 billion in IoT over next four years globally. A report from IDC states that the worldwide Internet of Things market will grow from $656 billion in 2014 to $1.7 trillion in 2020 with a compound annual growth rate (CAGR) of 16.9%. As per the report, connectivity, devices and IT services will be responsible for the majority of the IoT market in 2020. IDC estimates that all the three services will account for over two-thirds of the worldwide IoT market in 2020, with devices (modules/sensors) alone representing 31.8% of the total. With the increase in market size, the investments in IoT globally shall rise from over $800 billion in 2017 to nearly $1.4 trillion in 2021 indicating a worthy investment with quick ROI. Current investment in IoT holds a promising return as the adoption of IoT increases with market size and spendings. As investment is worth in IoT, it is now important for investors to know which startup having innovative technology would be ideal for them to invest in. The number of startups in the IoT rose rapidly from just 13 in 2013 to 189 in 2014. Following is the list of top startup companies using innovative technologies like blockchain, AI and edge which will aid an investor in selecting an ideal company. Discovery IoT is a revolutionary solution that enables brands to track their products through their supply chains, accurately on a real-time basis. They are developing a tag, Cliot, which will hold the ability to track products with embedded sensors and is built at the cost of $0.10. With IoT in convergence, Discovery is using the latest technologies like blockchain, AI and edge computing (mesh network) to solve current problems including stock-outs/empty shelves, product obsolescence/expiry etc., faced by the supply chain industry. Participation in Discovery’s sale will be the next best destination for investors as their solution will soon be adopted by a massive audience. The pre-sale of DIS tokens will be made available for a limited period starting from June 15, 2018 and ICO will be made available for 6 weeks starting from August 1, 2018. They will abate bonuses as per rounds, to attract more investors, keeping in mind that the early investor gains handsome return. Discovery has a strong team lead by Selvam VMS, Co-Founder & CEO, a veteran in the field of supply chain management with more than 10 years in the domain. He is accompanied by Kumar T, Co-Founder & CTO, a techie with more than 15 years of knowledge and experience in the areas of IoT and AI. Also, they are supported by various professionals, experts and senior advisors like Aly Madhavji and Nandakumar Balanujan with 36+ years of experience in supply chain; and incubated by the Blockchain Founders Fund. IoTium is a startup based in California with an aim to advance secure network infrastructure for the industrial Internet of Things. Their Network as a Service (NaaS) solution is designed for the building automation, industrial automation, oil and gas, manufacturing, transportation and smart city industries, empowering them to securely connect legacy onsite systems to cloud-based applications to leverage new analytics, machine learning, and predictive analytics applications. Till date, IoTium has secured $8.4 million in Series A funding and is backed by investors including GE Ventures, March Capital, and Juniper Networks, as well as Pankaj Patel, former Executive Vice President and Chief Development Officer at Cisco. The funds have been used to expand its trail in the oil and gas, transportation and smart city industries with the launch of the IoTium NaaS. This investment has helped them in a recent distribution partnership with The Panel Shoppe and a building automation firm, Relevant Solutions. Evrythng is a startup based in London, New York, and San Francisco which creates IoT and smart solutions to make products more intelligent and interactive. They collect, manage and apply real-time data from smart products and smart packaging to drive IoT applications. The company aims to ensure that connected devices can be managed and enhanced through real-time data and analytics throughout the full product lifecycle. This includes assigning digital identities to devices which allows them to be tracked and thus driving IoT a step further. This provides businesses with insights into their supply chains and consumers with awareness of the counterfeit product. The startup has secured $42.3 million in four funding rounds with lead investors being- Sway Ventures, Atomico, and BHLP. The company's clients include Coca-Cola, Avery Dennison RBIS, Crown Holdings and West Rock. Notion, an IoT startup based in Denver, Colorado, provides home security and monitoring through adaptable sensors. The low-cost sensors can be used to monitor unauthorized entry and take temperature readings of a user's home. Notion’s small sensor can be placed near doors and other locations around the house to monitor motion, temperature, water leaks etc. The startup has secured $16 million in funding by following a solid crowdfunding campaign on Kickstarter through six investment rounds and has used the funds to expand the development of home sensor products and to tap into the insurance market. It has attracted audience and investors including Draper Nexus, Translink Capital, Mesh Ventures and XL Innovate. Starting from home devices to industrial machines and automobiles, it is widely speculated that the next tech revolution is likely to be spurred by the ability to connect things. Therefore, the tremendous interest generated in IoT evident from the growing number of startups and mounting investments is a testament to IoTs potential to create enormous business opportunities around the globe. As the technology is yet to mature and the market for it is far from being saturated, the time is ripe for investing in IoT based solution providers.